Skilled Nursing News is excited to announce its first annual Summit taking place June 6, 2019 in Chicago, IL. 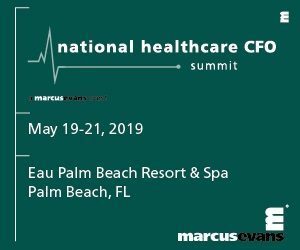 This intimate gathering of long-term care professionals will dive into the topics driving the business of skilled nursing today, such as reimbursement, declining occupancy and new regulations. Featuring a balanced mixture of panel discussions and networking opportunities, the SNN Summit provides an atmosphere for owners and operators of skilled nursing facilities to interact with like-minded peers and return home with actionable intelligence on how to strengthen their business.